Until now, it was assumed that an object like this couldn’t be demonstrated in 3D because of the distortion that takes place with the wrapping and the bending. 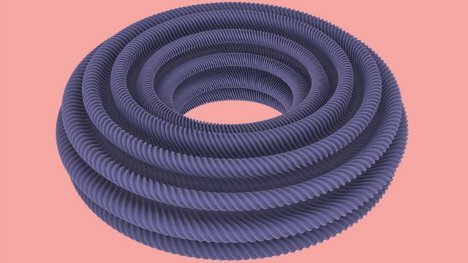 But researchers in France thought outside of the tube and added corrugations to the shape, overcoming the distortion problem. These surfaces are known as smooth fractals, which are somewhere between regular surfaces and fractals. 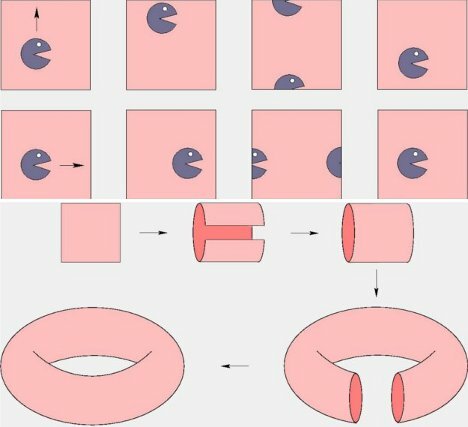 Apparently the discovery could help mathematicians do their thing…but all we can think of is a sudden craving for smooth fractal donuts. See more in Weird Science or under Science. May, 2012.